GoPro Advanced Case Management provides organisations with an electronic workplace. GoPro provides workflow-, document-, and records management, as well as integrated collaboration functions for comprehensive case management, including use by field-based users on mobile devices. Documents, work processes, customer relationships, and other meaningful information, is arranged in a logical context, providing instant overview of daily business. With highly configurable process management, standard templates for documents and e-mail, and a variety of powerful additions, GoPro can be configured to meet any business need. GoPro offers a secure, fully interactive, standards-based self-service portal facilitating 24×7 citizen access, and a unique cloud collaboration capability which extends secure processes to authorised external 3rd parties. 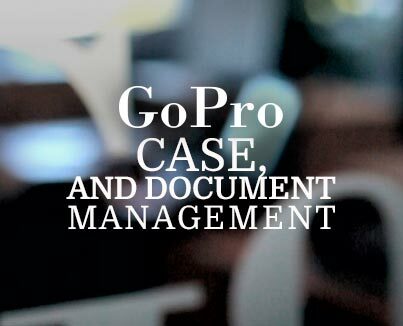 GoPro advanced case management provides secure and controlled access to documents and other case evidence across the organisation. 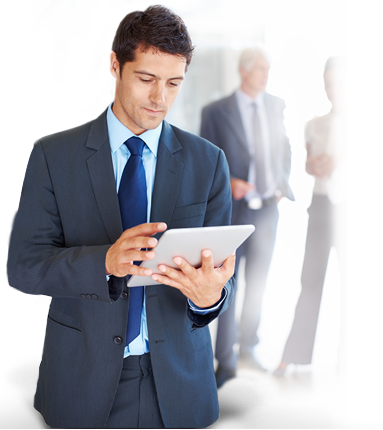 It improves efficiency with powerful search and filtering features, as well as advanced templates for e-mail and documents. Drag and drop filling of e-mail from the inbox with a comprehensive set of rules based usability features that helps ensure correct and complete filing of relevant communication into GoPro, where it is stored in the relevant and meaningful contact and process context. GoPro advanced case management is a case and document management system that offers comprehensive out-of-the-box capabilities that are designed to deliver true end user efficiency improvements while at the same time ensuring compliance with policies, procedures and legislative requirements. The design philosophy behind GoPro advanced case management is that only a system that is improving organisational performance through a having a positive impact on the individual case workers work, can ever truly succeed. GoPro advanced case management combines this rich usability focused out of the box functionality with a high degree of configurability. This allows organisations to maintain the optimal support for the business requirement, by avoiding costly, upgrade impeding and hence not viable customisations. 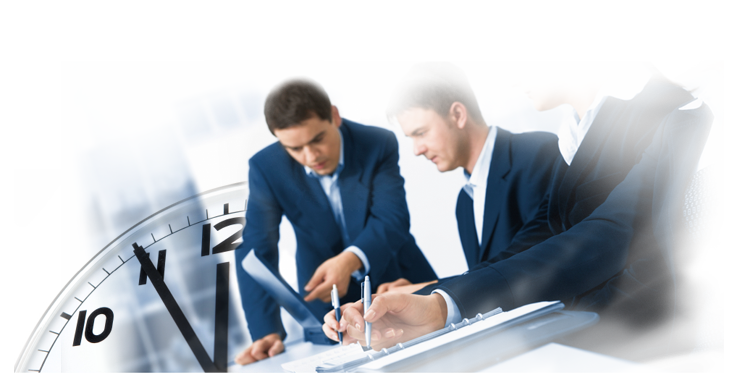 Such cost and consequences that typically lets the support of the business requirement deteriorate as the business requirements unavoidably changes over time. Further to support a low total cost of ownership GoPro operates on a range of technology platforms. GoPro Self Service, as the name indicates, provides innovative self service and external stakeholder collaboration capabilities. By extending GoPro advanced case management to external parties, it allows the organisation to create and maintain secure communication and collaboration with their customers, partners, and other external stakeholders. It facilitates automatic case creation, which minimises the time case workers spend on repetitive tasks, reduces error, ensures that work is fast, efficient, and complies with organisation policies and standards. Registered customers gain a clear overview available services, their communications, pending requests and applications, and status updates. The Self Service portal increases operational transparency and reduces the customer servicing workload, as customers can observe their cases and requests move through the internal process without having to make costly and time-consuming phone calls. GoPro Self Service also provides secure stakeholder collaboration, allowing case and documents in GoPro advanced case management to be shared with external stakeholder such as consultants, ad-visors, other agencies, etc. GoPro Mobile gives you access to information in GoPro on your smartphone or tablet. GoPro Mobile allows you to search cases and contacts, view documents, and send in files and information, directly from your mobile device. GoPro Mobile incorporates the same robust security features as our core solution, making it possible to work from anywhere without compromising sensitive data. Telecommuters, consultants, field investigators, and frequent travellers can all benefit from this application.